OK kiddies, time to discuss business, but I promise this post will quickly degenerate into something a bit more light-hearted. I've done some research on how to write a business plan and even found some services that offer a template you can drag and drop information into and, presto, instant business plan! While this would have be an easy solution, it did not seem like a great idea. After all, it is my company's business plan and my company, like a beautiful snow flake fluttering in the cool Vermont winter air, is unique from all others and should not, nay, cannot be expressed via a boiler plate document. Quick, clean, and to the point! How do you like them apples? Well, in my past employment-life I spent most of my days reading over business plans, so I wondered why I did not have a better grasp on how to conger these documents into existence. And then it hit me. All the business plans I'd viewed were for start-up hedge funds, and business plans for these companies are unique little beasts. 1. The Name. Select a name for our new fund, the more old-money sounding and urbane the better. Expensive vacation destinations are a good choice, as are street names, or city locations. Make sure to add “Capital” to the end! 2. The Logo. Pick a logo that looks solid and sophisticated, and employs grey-scale (colors are for hippies, and hippies aren't skilled at managing money). The Market: Here we state the basics about the hedge fund industry. Really, all that is ever described is the overall size and who can invest. Example. The hedge fund market is large and expanding, quickly approaching $2 trillion in assets under management. Hedge funds are large, unregulated pools of capital that seek to invest in attractive opportunities and make the funds' investors a boat load of cash. The minimal investment in most hedge funds often begins at $500,000 so only rich people should really continue reading. The Opportunity: In this section we typically see a quick claim that through well disciplined investing, an investor in the fund stands to gain handsomely. How we will do it: This section is pretty standard, the example below best depicts how this part is handled. Thank you. Now give us money. Our Team: This is the most important section, but fortunately, follows a Mad Libs format and really only describes one person: the fund's founder. Let's all play along! Now lets see how we did! Example. Jonathan Smith founded Lincoln Square Capital, LLC in 2009. Prior to founding Lincoln Square Capital, LLC, Jonathan worked at (1) Morgan Stanley as a (2) convertible bonds trader. After several impressive years of service he moved on to (3) Goldman Sachs. Next, Jonathan jumped to the prestigious hedge fund, (4) SailFish, where he achieved annualized returns of 25% (assumes (5) 20 times leverage). Seeking to capitalize on his unique talents and money management capabilities, Jonathan launched Lincoln Square Capital, LLC, headquartered at (6) 618 (7) Madison Avenue. The fund is currently accepting qualified investors. Jonathan is an esteemed alumni of (8) Princeton University and enjoys polo and wine. 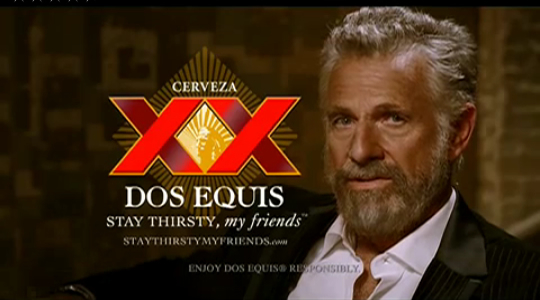 As a bonus, stealthily posting a picture to a non-descriptive Flickr account that illustrates, in addition to the impressive credentials listed, that the fund manager might be related to The Most Interesting Man In The World always helps. Add an anonymous posting to Seeking Alpha, DealBreaker, or any other finance oriented website with a link to the aforementioned picture to generate greater interest in the fund. Commenter #17: "Looks like Jonathan at Lincoln Square knows how to water ski"
And that's it! We are done! In short, a business plan for a hedge fund has little to it. The main product / service that gets the lion share of coverage in a typical business plan write-up is shrouded in secret. Like a magician, a fund manager will never divulge how his investment magic works. So the entire section on the service / product is encased in a "black box," leaving little else to cover. Maybe I should forget this whole “regular business” stuff and just start a hedge fund? I already know how to market it. I'm excited to bring you news on GoodDinosaur's newest corporate sponsor, the CollegeJobConnect! The CollegeJobConnect is an exciting new web-service that connects college undergraduates and employers. Currently, there are few avenues for college undergraduates to make the jump from academics to a professional career. Similarly, there are few options for employers to recruit undergraduates, and those that do exist are costly and inefficient. We have tailored a revolutionary service to change this. We are breaking down barriers and providing connectivity to an under-served, under-recognized talent pool. By organizing the college demographic into one location and providing employers with unprecedented and easy access, the CollegeJobConnect will be the go-to place where talented, educated individuals are discovered and hired. Question: "If you break a straight line randomly in two places, what is the probability that you can form a triangle from the resulting three pieces?" Please provide the proof + code for a simulation of 10,000 trails! Will post the solution tomorrow so get crackin! First off, congratulation are in order to a Mr. Paul R. and a Mr. Dan D. who both successfully utilized the higher power of numbers and reached the correct answer. A slow clap to you both. A special mention is in order for a Mr. Frank I. who uncovered about 80% of the solution, and to a Mr. Elliot G. who at least attempted the problem (percentage of success was not capable of being calculated for this last attempt). So in order for a triangle to be the result, a must be less than half of the entire length. Furthermore, because x = a and x is the largest, y and z must also be less than half of length L. We see that no single side can be greater than or equal to L/2 if we want to be able to make a triangle from the sides. Which we can see is equal to 1/8 (0.125) of the possible values. We are still working with the same initial work space for a and b, but we have a different limitation being applied, namely a > b. Which yields and answer of 1/8 + 1/8 = 1/4 or 0.25 or 25%. So if you break a straight line randomly in two places, the probability that you can form a triangle from the resulting three pieces is 25%. The Code. The code to run the simulation. This is written in Ruby. Running this simulation produces results that cluster around the expected value of 25%. GoodDinosaur is Jeff Iacono's blog. Writings are generally about start-ups, technology, design, movies, books, avoiding Bad Dinosaur, and all other thoughts that fall into place.